Washington, D.C. - The District of Columbia Financial Responsibility and Management Assistance Authority announced today that the city's new healthcare initiative will begin this week to offer new maternal and child care services for uninsured and low-income residents. The new services will be available at Greater Southeast Community Hospital, Children's National Medical Center and George Washington University Hospital. Primary care will continue to be provided at the District's six Community Health Centers. The new services are the first major component of the District's transition to a comprehensive, privately administered health care system provided through the new D.C. Healthcare Alliance. The D.C. Department of Health will oversee and manage the new system. Greater Southeast, Children's and George Washington will now accept all new maternal and child health admissions previously accepted at D.C. General Hospital. As of May 17, 2001, D.C. General no longer accepts new hospital admissions for patients requiring obstetric, pediatric, infant and newborn health services. All patients who come to DCGH requiring hospitalization for obstetric, pediatric, infant and newborn services will first be considered for transfer to Greater Southeast Community Hospital. The attending D.C. General physician will perform an evaluation and make arrangements for the patient's transfer. Pregnant mothers who might have otherwise gone to D.C. General will be transferred to Greater Southeast unless their pregnancy is high-risk. If the patient and the attending physician decide on admission to a hospital other than Greater Southeast, the attending physician will make those transfer arrangements according to the medical condition of the patient. Children's Hospital is available to admit and treat high-risk births from healthy mothers, and George Washington is prepared to admit high-risk births from mothers who are also potentially high-risk patients. Greater Southeast will also provide inpatient pediatric services to children treated through the former PBC. In addition, Children's and George Washington Hospitals will now admit and treat high- risk pediatric patients requiring hospitalization. 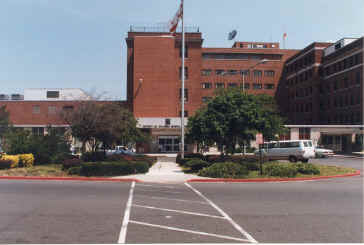 All obstetric, pediatric, infant and newborn patients who come to the D.C. General emergency room for treatment for an emergency medical condition requiring hospitalization will be treated and stabilized before transfer to Greater Southeast, Children's, George Washington or any other facility as determined by the attending physician. Patients who are presently hospitalized at D.C. General for obstetric, pediatric, infant and newborn care will remain at D.C General until they are ready to be discharged. Outpatient obstetrics and gynecology. Outpatient pediatrics. General adult medicine for men and women Uninsured patients will have access to medicines through outpatient pharmacies at the community health centers.